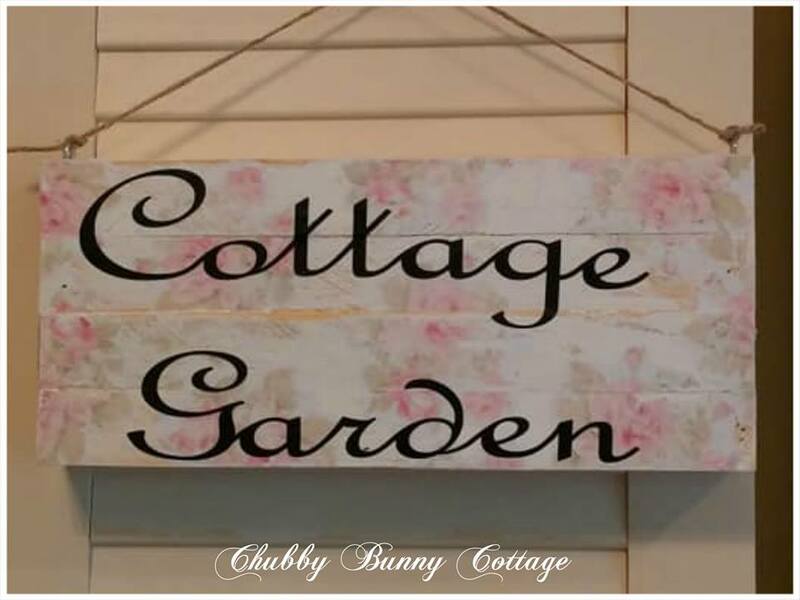 This cottage garden sign is on a sign board with small planks. it is painted white with roses and it is distressed. the letters are vinyl. it measures 14″ x 6 ” and is 1 3/4″ deep. it has screw eyes with a jute string for hanging. 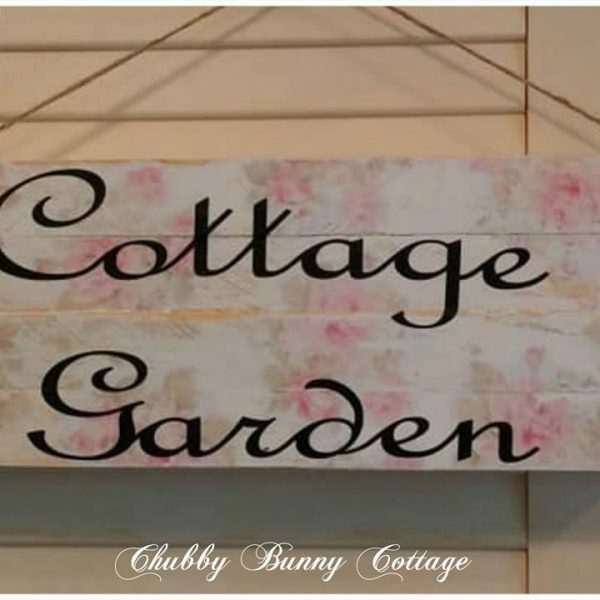 it is sealed to be used outside or for indoor use. handmade.